Sixteen year old Cade Thompson is not your average contemporary Christian artist. With a sound that appeals to believers and mainstream pop audiences alike, the up-and-coming singer/songwriter and worship leader manages to take the genre to even greater heights. One listen of his soaring new single, “Treasures,” and it’s abundantly clear that Cade Thompson is a star on the rise. Moreover, the song has an important message: We’re ALL cherished. Cade sings, “If you’re going through the mountains, if you’re going through the darkness, know that you are a treasure.” Wise words for a young man. Based out of Sioux Falls, South Dakota, Cade Thompson’s effortless style promotes his personal musical influences, which draws heavily from the church. Even at a young age, Cade is taking the music scene by storm, and his affluent influences have made him an eclectic and soulful artist. Cade’s ability to transform his thoughts and faith into a collection of melodies and lyrics offers the music scene a chance to transcend the so-called popular music of today. 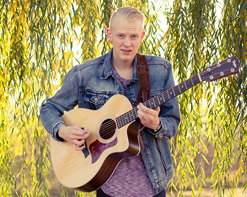 Cade has had a powerful connection with music since his toddler days when a preschool teacher noticed him making his own harmonies. In elementary school, Cade progressed well through piano and guitar lessons. He went on to become proficient as an acoustic and bass guitarist, drummer and vocalist. Despite his youth Cade has had a consistent presence in the Sioux Falls and South Dakota community by either leading worship or joining worship teams as an instrumentalist or vocalist. Cade has also performed with various ministries and at various events, including the Remedy Drive this past February 2017 as part of the LifeLight Z8 Initiative Tour. Bearing in mind how passionate Cade Thompson is about his mission it comes as no surprise that he’s as equally fervent about creating the finest possible music and videos to share his affirmative message. The “Treasures” video brings us a tornado of vivid, relaxing imagery that explodes like a comforting blanket across the screen. It is a celebration of the positivity he aims to spread every single day. With a simple and calming background track that would soothe any broken soul, his soulful delivery seals the deal on this uplifting track. 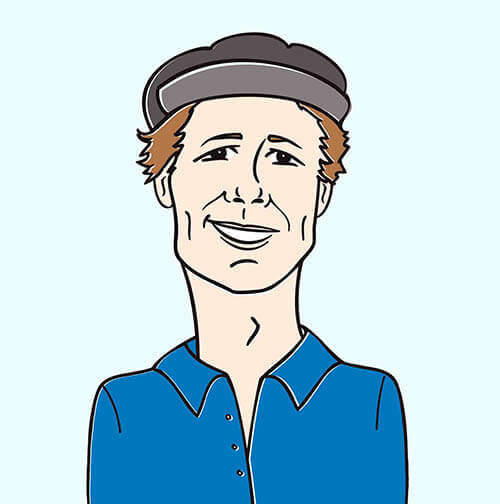 Filled with smiling faces of all ages and walks of life holding “you are a treasure” signs, the ease of the video is also shown as Cade strolls around and plays his guitar. The production is fiercely up-to-date and could effortlessly glide right into a mainstream pop music playlist. Here at HIP we’re thrilled to be working with the young talented artist, Cade Thompson. Please let us know what you need to get this video into your programming by calling Andy Gesner and the HIP Video Promo team at (732)-613-1779, email us at info@HIPVideoPromo.com. You can also visit www.CadeThompsonMusic.com for more info on Cade Thompson.